© 2007-2018 by Zack Smith. All rights reserved. Sit-ups are ideally done on an incline bench, also called an abdominal bench, so that the abs work harder than when you lay flat. Rather than spend a bunch of money on a heavy metal bench, I simply made my own. 25 inch wide by 1.5 inch thick. I bought an 8-footer and got it cut into two 4' pieces at the store for free. Two 2x8 by 4 feet pieces. 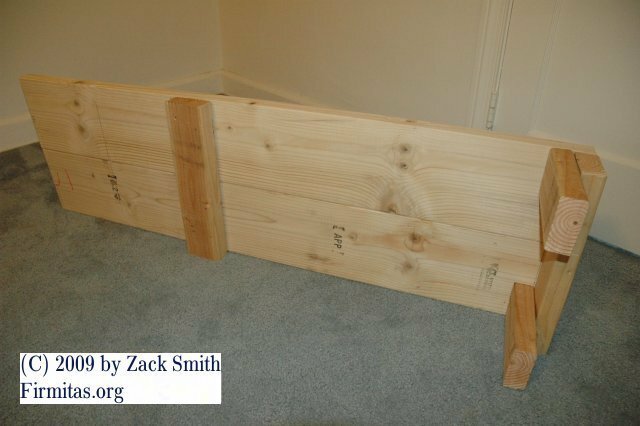 Two 2x4 segments, each 14.5 inches wide. 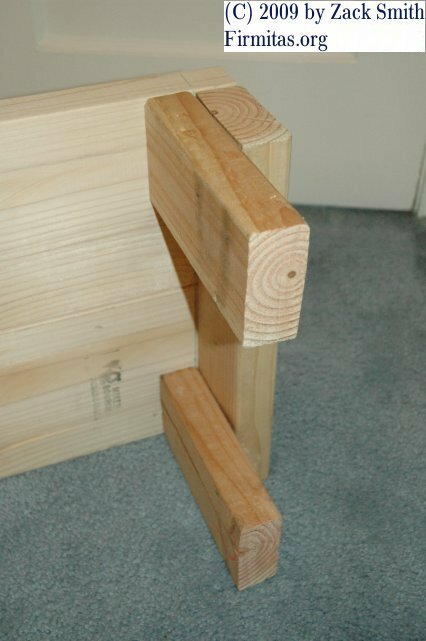 Two 2x4 segments used to raise one end. I used two 7.5 inch segments but it's a matter of preference. Eighteen 3 inch drywall screws. Total cost could be around $20. 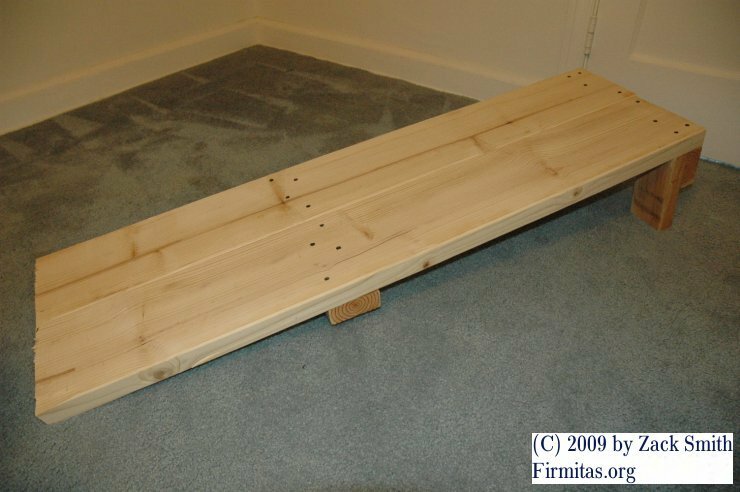 Lay the 2x8's flat and screw on the stabilizing center piece, then the piece at the end. Attach the two legs, being sure to add extra screws for strength.